We are different. You’ll be surprised. WHY START THE CONVERSATION WITH US? Our team have proudly been providing finance services to individuals, families and businesses in the Townsville region for 20 years. 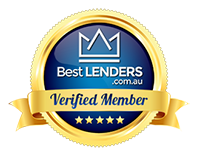 Unlike some franchise home loan or finance businesses, Premium Finance Group Australia is locally owned and will provide you with peace of mind knowing our experienced team will provide you with options that suit you and are in your best interests – not the banks or a major franchise. It is this dedication to the Townsville community that sets Premium Finance Group Australia apart. Murray Mayes and Diane Arnol – Your Local Townsville Team. Our clients say they have peace of mind and confidence because we take the time to explain the process and take things step-by-step. We find that this reduces confusion and adds clarity to the financing process whether it be for home loans, refinancing, personal or business loans. At Premium Finance Group Australia, you are never rushed into making decisions – we work for you. We start with a 30 min intro strategy session, so we can discover what you want to achieve, get to know each other and answer all those immediate questions that you have. After you leave the strategy session, we arrange options to suit your goals that we discussed in our strategy session and to answer any further questions. After you review the options, you may wish to go ahead. If so, we arrange everything, communicate with you and keep you informed every step of the way. Claim Your FREE Finance Consultation! Discover your borrowing capacity & discuss your goals, challenges & more! The only true measure of success.